The creation process was harder than it sounds. ‘Even after we had decided it would be a juice rather than, say, a dry product, it wasn’t easy to find the methodology,’ she says. ‘What had been done before in this country had all been to do with apple processing, and the presses, the filtration, all the technical aspects are very different for each fruit. Plus other products on the market which use berries actually heat-treat the juice, which drives out flavour and aroma. 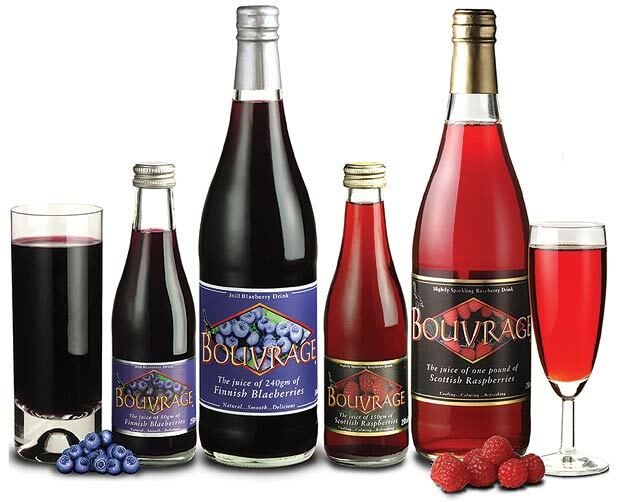 Launched in 1998 at the Royal Highland Show, Bouvrage (old Scots for ‘beverage’) was a hit in delis, coffee shops and hotels. It was less profitable in supermarkets, so they focused on farm shops, farmers’ markets and delicatessens.